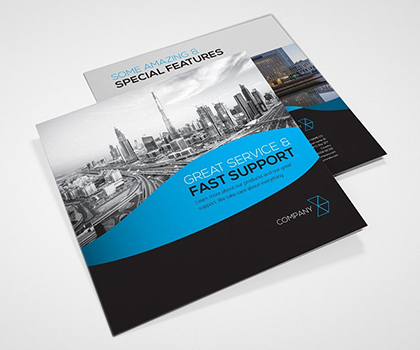 An elegant, simple and creative Brochure templates design by professional graphic designers. 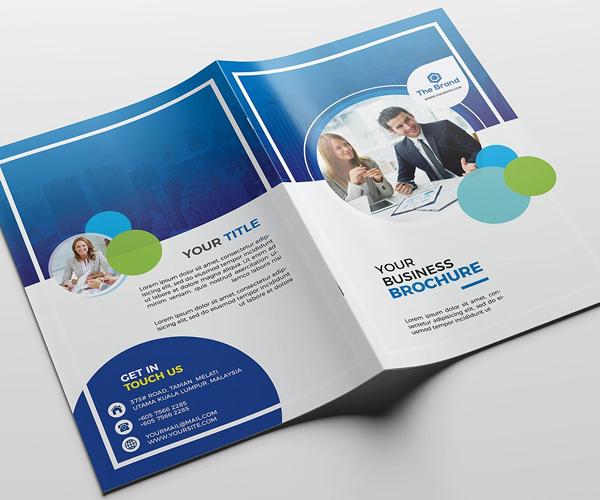 These Creative brochures are multipurpose and perfect for fashion catalog, photography, annual report, brand booklet and type of corporate business or even personal branding. 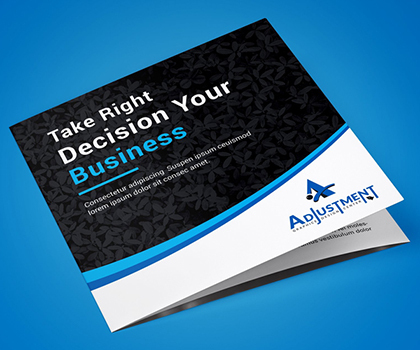 Each templates are fully editable and customizable in Adobe Photoshop and InDesign. This File open is programs (cs3, cs4, cs5, cs5.5, cs6, cc, cc+), it’s item minimum adobe photoshop cs3 open and any update program version opening. Well Organised Shape Layered (Psd), CMYK Color Mode, Very Clean, Fully Full Corporate/Business Topic & vry easy color changable, Print ready & Fully Editable and 4 Color With Text/fonts/colors editable. and any problems or help for contact this mail address in main file support file. Nyx Lookbook is an elegant, simple and impressive template for InDesign. You can use Nyx as a brochure, proposal or a lookbook template. Click on the thumbnails to see all the pages. It’s a Clean and Easy to use. Easy to edit, you can change Blue accent color throughout the whole document at once, paragraph and character styles included, text and images placed on separate layers, text aligned to grid. It is a vertical design, available in Square size (20×20)cm. Brochure is an elegant, simple and impressive template for InDesign. You can use Nyx as a brochure, proposal or a lookbook template. Click on the thumbnails to see all the pages. Colorful Hotel Brochure Template for Hotels ,Travel Companies , Designers or Any other companies that need this style. Just drop in your own pictures and texts, and it’s ready for print. Or use it as a professional online PDF or email attachment. This portfolio can serve multiple purposes. 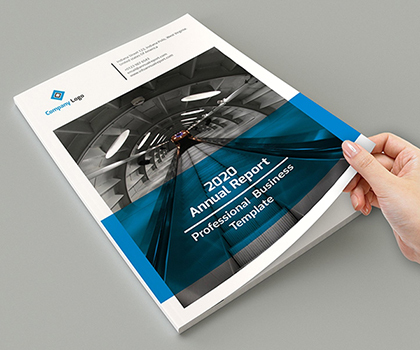 The corporate brochure, clean and creative template. This layout is suitable for any project purpose, very easy to use, edit and customize to your needs. 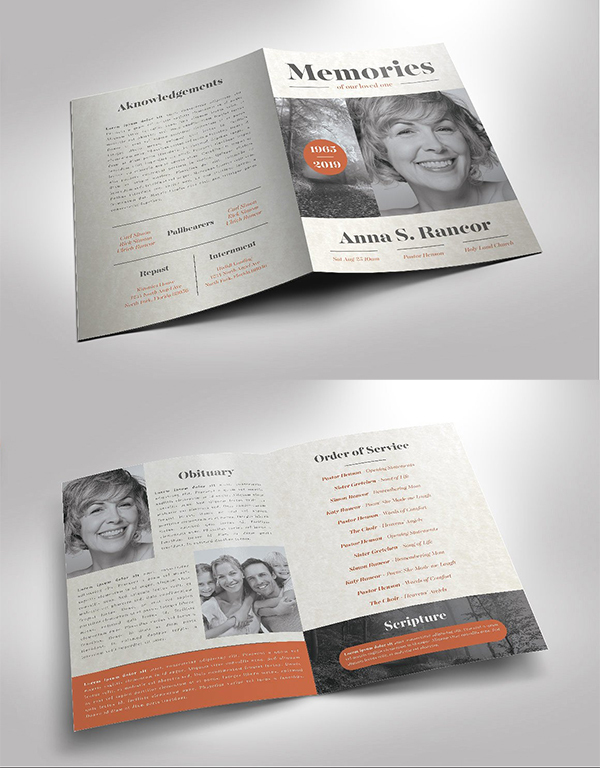 This clean modern funeral program template comes with a newspaper theme. The elegant color pallet is subtle and complementary to the title. It has spaces for photos and can be customized to your delight. Best for promoting your Photography Business Services as well about your Company/Organization with a modern design look. Everything is editable, Properly named & well organized layers . So as a result, You can edit text, shape, color, background, very easily. Thank You. This is 40 page minimal brochure template is for designers working on product/graphic design portfolios interior design catalogues, product catalogues, and agency based projects. Just drop in your own pictures and texts, and it’s ready for print. Or use it as a professional online PDF or email attachment. Nomi, thank you for this post. Its very inspiring.